President Dmitry Medvedev would easily win re-election if the vote were held today and Prime Minister Vladimir Putin stayed out of the race, according to a new survey by the Kremlin-friendly VTsIOM. Medvedev would scoop up 50 percent of the vote, followed at a distant second by Liberal Democratic Party leader Vladimir Zhirinovsky with 5 percent, Communist leader Gennady Zyuganov with 4 percent and Emergency Situations Minister Sergei Shoigu with 3 percent, according to the poll on whom voters would pick if elections were held next Sunday. 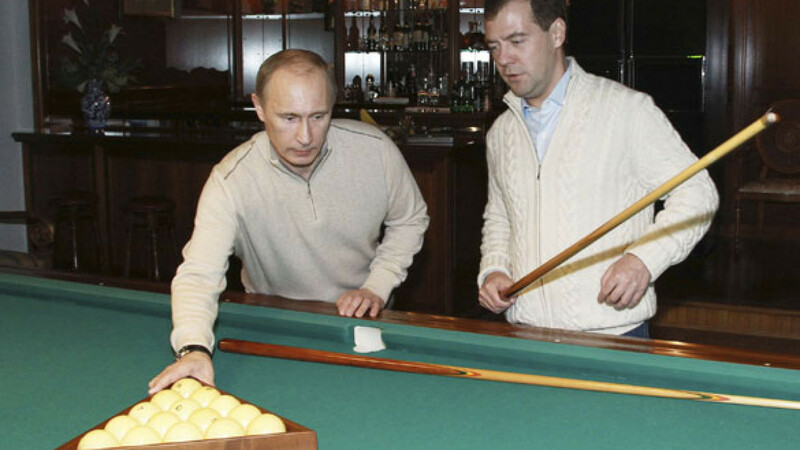 Medvedev and Putin have remained coy about whether either of them might run for election in 2012. VTsIOM researcher Stepan Lvov said Putin was removed from the survey after he gave up the presidency to Medvedev in 2008 but could not explain why the prime minister remained absent despite the fact that the elections were drawing near. He said by telephone that the survey was “comprised of names of politicians who don't intersect." Lvov also said VTsIOM offered a separate survey on the public's trust toward politicians that could be used to compare Putin's and Medvedev's ratings. Putin topped Medvedev in the most recent VTsIOM poll, with a 48 percent trust rating compared with the president's 42 percent. Asked whether VTsIOM would measure Putin's chances of winning the 2012 presidential election, either with or without Medvedev in the race, Lvov said it might “in case there is a need to do so.” He declined to elaborate. Lev Gudkov, director of the independent Levada Center pollster, suggested that Putin's absence from the survey was connected to "the Kremlin's political technology machine,” which acts on orders from the top. But he declined to speculate on who in the Kremlin might have ordered Putin's omission. The Levada Center always includes Putin and Medvedev in similar surveys, Gudkov said. His agency has not conducted any surveys on the 2012 elections recently, but Putin led in a survey of public support for the ruling tandem released Nov. 25, with a 78 percent approval rating compared with Medvedev's 72 percent. The Levada poll also indicated that 84 percent of the population think that Putin has maintained his influence on national politics after handing the presidency to Medvedev in 2008. “In terms of censorship and state-controlled television, a rating is just a means to measure the impact of the propaganda on society,” Gudkov said. Data about the VTsIOM poll was released last week. The survey covered 1,600 respondents in 46 of the country's 83 regions and has a margin of error of 3.4 percentage points.